With its ticket punched for the big dance, the VCU men’s basketball team now must prepare for its first round matchup later this week with the University of Central Florida. But it’s not just the team’s athletes and coaches that are gearing up for March Madness. The VCU Athletics department also must get to work, planning the logistics and budgeting for the financial impact of the school’s eighth NCAA Tournament appearance in nine years, the most among all Virginia colleges in that span. VCU’s bracket-busting run to the Final Four in 2011 made the school a household name. Since then, that higher national profile has brought with it more money to manage, a new conference to play in, more flights to book and new facilities to open. It also has come with pressure on the rest of the athletic department to take advantage of the visibility and momentum provided by the 2011 Final Four run. Eight years later, the finances of the Athletic Department have changed drastically, and nonrevenue-generating sports also get to reap the benefits of the men’s basketball team’s success. 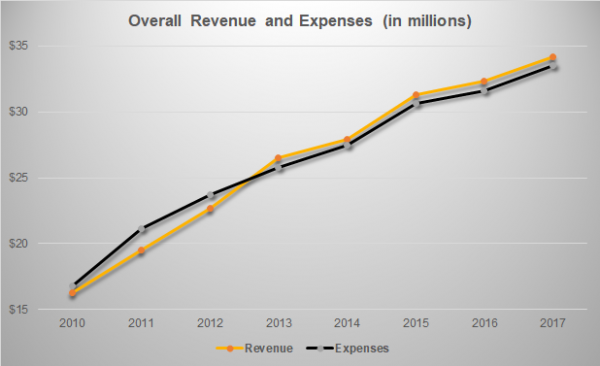 VCU Athletics’ annual revenue has more than doubled in the last eight years, jumping from $16.3 million in fiscal year 2010 – the last fiscal year before the Final Four run – to $34.2 million in FY 2017, according to the most recent data available from the school. Its expenses have grown at a similar rate, jumping from $16.8 million in FY 2010 to $33.5 million in FY 2017. Per its FY 2017 data, student fees, which are part of the university’s annual tuition, provide the majority of VCU Athletics’ revenue at $19.9 million. Its next-largest revenue source is donations ($5.1 million), followed by licensing and sponsorships ($2.5 million) and men’s basketball ticket sales ($2.4 million). 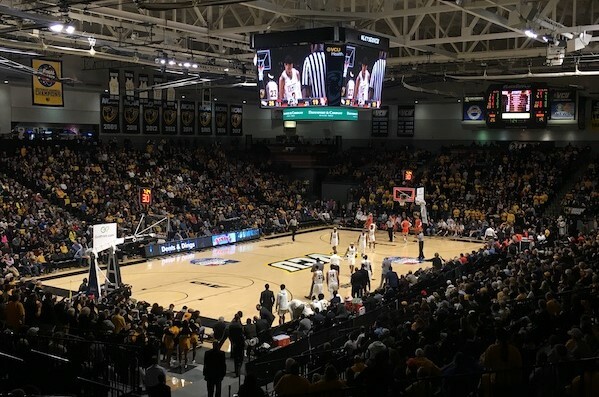 Jeff Cupps, VCU’s senior associate athletic director, whose staff’s responsibilities include managing the business end of VCU Athletics, said increasing student fees is seen as a necessary evil to compete at a national level. “The way the 1-AA and 1-AAA athletics are set up, that’s pretty much the way (public universities) have to build their budgets,” Cupps said. 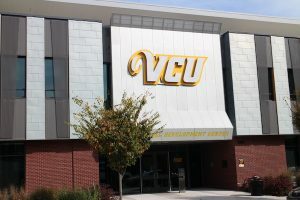 According to data provided by VCU, the athletic portion of its student fee has risen an average of $33 each year since the 2011-2012 school year. The student fee at VCU during the 2010-2011 school year was $558. In 2011-2012, it jumped to $610. The fee for the 2018-2019 school year is $827. The university has 31,076 students enrolled in 2019, compared with 32,303 in 2011. 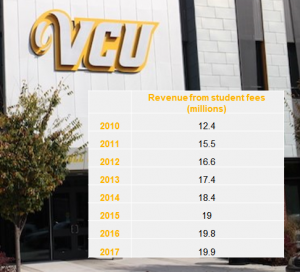 Though the fees continue to rise, VCU Athletics’ reliance on that source of revenue is trending downward. In 2010, student fees brought in $12.4 million, accounting for 76 percent of the department’s overall revenue. In 2017, the fees brought in $19.9 million, or 58 percent of VCU Athletics’ revenue. Cupps added that the VCU student fee is lower than most other Virginia public schools, excepting George Mason University, and Virginia Tech and UVA, with the latter two bringing in significant revenue through football. Per university data, Virginia Tech’s athletic fee per undergraduate student is $158 and UVA’s is $657 per semester. The department’s expenses are more evenly spread across direct overhead and administrative expenses ($6.4 million), athletic student aid ($5.7 million), support staff compensation ($5.3 million) and coaching salaries ($5.2 million). Another large revenue generator for VCU is alumni donations, which go mostly to the Ram Athletic Fund, not to specific teams. In 2017, alumni donated $5.1 million to VCU Athletics; in 2009, it was $464,000. VCU Athletics does not often fundraise for specific sports. Instead, it pools all of its donations into a general fund that’s distributed to each sport as needed. “I think if we were doing that (fundraising for specific sports), a lot would go to men’s basketball and the others might not see a positive impact to their budgets,” Cupps said. He added that when VCU Athletics does have specific fundraisers, it’s typically for construction projects. Ticket sales, student fees and NCAA conference distributions don’t fluctuate much year to year. But donations are more volatile. In the year after the Final Four run, donations jumped from $1.2 million to $2.7 million, followed by another $1 million gain to $3.7 million in FY 2013. But donations dipped to $2.6 million in FY 2014, only to rebound back up to $4.8 million in FY 2015. VCU Athletics operates on a zero-base budget for all of its operating expenses, meaning its fiscal staff meets with all VCU coaches and other department heads to build their budgets from scratch each fiscal year. 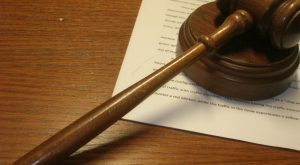 “We review their budgets in detail in terms of what their needs will be for the next year. … Then we need to make those difficult choices because wishes always outstrip available resources,” Cupps said. The budget-planning process typically runs from January through May, before winter and spring sports’ schedules for the next season are clear. 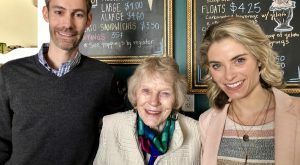 “We look at where are these teams going to be traveling to in the next year and then identify what the costs are going to be for meals, for hotels, for travel … really then budget based on their schedules,” Cupps said. The 2011 Final Four run put the school on the map nationally. The next year, VCU announced it would be moving from the Colonial Athletic Association to the Atlantic 10 Conference, a move driven in part by the school’s desire to capitalize on the spotlight and learn from what it saw as miscalculations by then-fellow CAA school George Mason University, which had made a miraculous Final Four run of its own in 2006. GMU joined the Atlantic 10 in 2013, but has made the NCAA tournament only twice since its Final Four appearance. “I don’t want anybody to take this the wrong way, but we saw their Final Four run and said, ‘Hey we need to do anything we can to continue the momentum from that Final Four run,’” Cupps said of GMU. “That meant trying to keep our head coach, moving to a higher-level conference if the opportunity arises and building a basketball practice facility so we can really take advantage of that brief period of time that was so exciting,” he said, adding that he believes GMU is now heading in the right direction. VCU opened a $25 million basketball practice facility to help take advantage of the program’s momentum in 2015. 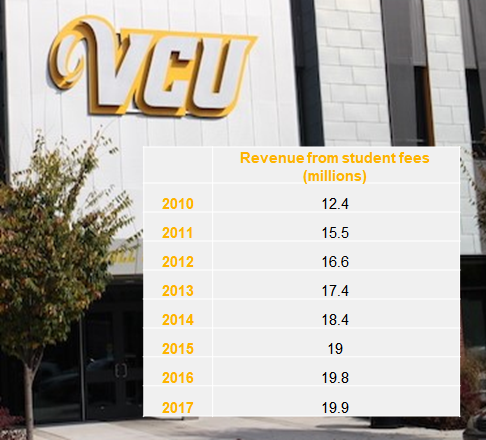 With the move to the A-10 came VCU’s biggest year-to-year jump in overall revenue since 2011. In FY 2012, its last in the CAA, VCU Athletics brought in $22.7 million in revenue. In FY 2013, its first year in the A-10, revenue jumped about 17 percent to $26.5 million. That new money came primarily from an additional $1 million in donations, $800,000 in student fees and $600,000 in ticket sales over the previous year’s numbers. 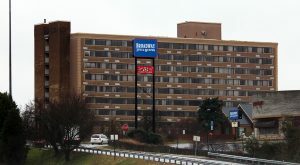 In that same time, its expenses went up 8 percent, from $23.7 million to $25.8 million. At least some of that increased expense is related to travel, as the A-10 reaches further afield than the CAA with schools in the Northeast, Ohio and Missouri. “As we went to the A-10 and we talked about what are our costs going to look like, one thing that stuck out was (travel),” Cupps said. In 2012, the last fiscal year VCU’s men’s and women’s basketball teams played in the CAA, the athletic department spent $1.83 million on team travel. 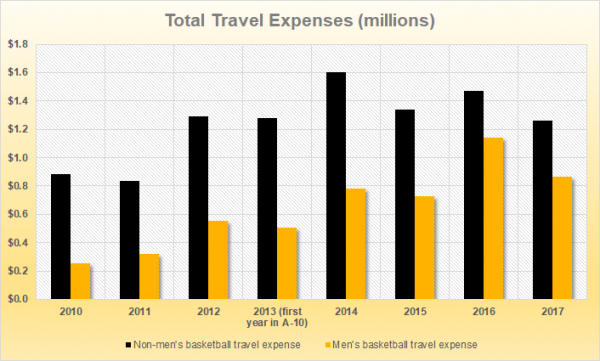 The following year, when it moved to the A-10, team travel expenses dipped slightly to $1.73 million, but every year since, the school’s travel budget has been over $2 million. It spent $2.13 million on travel across all sports in 2017, $1.2 million of which was spent on travel for men’s and women’s basketball. VCU’s men’s and women’s basketball teams fly to away games that are more than a few hours’ drive away and the school now charters most flights for those programs, rather than flying commercial. “The number of charter flights we make annually has changed significantly (increased) since moving to the A-10,” Cupps said. In deciding to charter flights, VCU again looked to what its peers were doing. “We wanted to not only join a higher-ranked conference (but also to) be able to compete among those best programs in the league, at that time being Xavier and Dayton,” Cupps said. Xavier and Dayton often chartered flights. Cupps said flying privately not only means less missed class time, but also provides a recruiting advantage for basketball. “If the big guys are going to be chartering, then we can’t be flying commercially without that being used against us as coaches are out there recruiting,” Cupps said. This year, men’s basketball flew to all of its away games except against Richmond, Old Dominion, George Washington and George Mason. Women’s basketball follows a similar protocol. Cupps said the men’s and women’s teams fly on 50- and 30-seat private jets, respectively, and rarely fly commercial. From 2009 to 2012 (when the school was in the CAA), VCU men’s basketball’s travel expenses averaged about $328,000. Since joining the A-10 2013, the team’s averaged about $804,400 in travel expenses. The decision to fly more was also a product of a program athletic director Ed McLaughlin put in place. He joined VCU just a few months after VCU announced its move to the A-10. “Ed was really focused on the student athlete experience. … how we provide services for our student athletes, including travel,” Cupps said. In 2011, just as the unexpected tournament bid sent parts of the athletic department into a tizzy, the Rams’ run put more pressure onto the department’s books. The NCAA reimburses schools a certain amount for tournament appearances, but not enough to cover everything. Cupps said in an average tournament year, the out-of-pocket cost for the university for an NCAA Tournament trip might be around $125,000. But as VCU kept winning in the 2011 tournament, costs continued to accumulate — unsold tickets, lodging, comped tickets for players’ families, etc. From 2010 to 2011, VCU Athletics’ revenue jumped by $3.2 million from $16.3 million to $19.5 million, but its expenses leapt by $4.3 million, going from $16.8 million to $21.1 million. In the long term, the money did find its way back to VCU. Portions of the money generated by the NCAA Tournament are distributed to teams’ respective conferences. The funds vary based on the number of teams a conference has in the Big Dance and how far they advanced. The conferences then disperse those funds to each of its teams, even those that didn’t make it to March Madness, and the money from a given year’s NCAA appearance is paid out over six years. Previously, it was distributed to conferences the next year. Cupps said the NCAA implemented the six-year payout process around 20 years ago. Through it all, after the Final Four appearance and the move to the A-10, VCU Athletics earned its way into the black after years of operating at a loss. Every year since 2013, the department’s has on paper posted a profit. From 2009 to 2012, its final years in the CAA, VCU Athletics’ overall expenses were greater than its revenue. But every year since 2013, the department’s has on paper posted a profit, with at least $700,000 more in revenue than expenses. Men’s basketball considerably props up the entire department. Men’s basketball generated $8.5 million in revenue in FY 2017, with all other sports generating $222,000. The next highest was men’s baseball, with $63,000. Men’s basketball generated 1,151 percent more revenue in FY 2017 than it did in FY 2010 ($738,000). 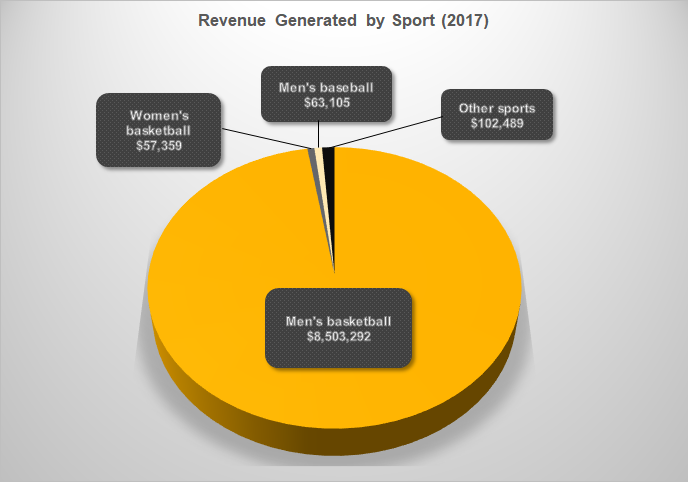 All other sports, including women’s basketball and men’s baseball, generated 55 percent more revenue in FY 2017 than in FY 2010. The success of the men’s basketball team helps subsidize the other programs, and Cupps said it’s not just the revenue men’s basketball brings in – it’s the visibility as well. And when VCU lines up to tip off this Friday, all the other sports programs at the school will be rooting for another miraculous run. “Our coaches and staff recognize (the impact men’s basketball has), so everybody’s cheering for everybody else,” Cupps said. 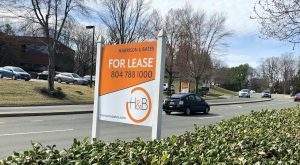 2 Comments on "VCU athletics budget has more than doubled since 2011 Final Four run"
interesting reading, thanks for digging into and providing all the numbers. The 1000% increase in alumni donations in just less than a decade is incredible! Go RAMS!